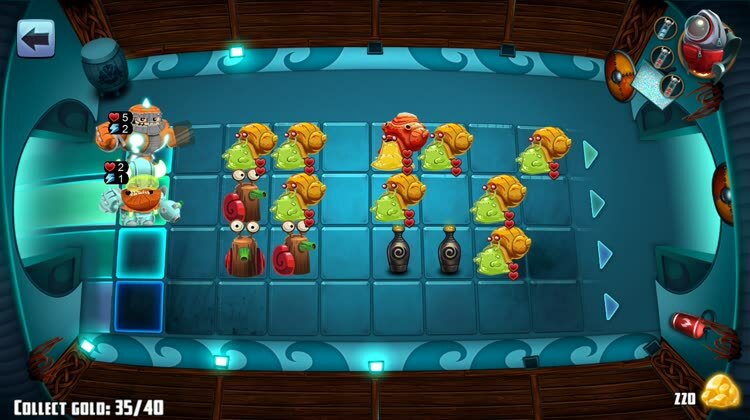 A puzzle RPG mash up that lets you battle as star vikings against waves of snail invaders. 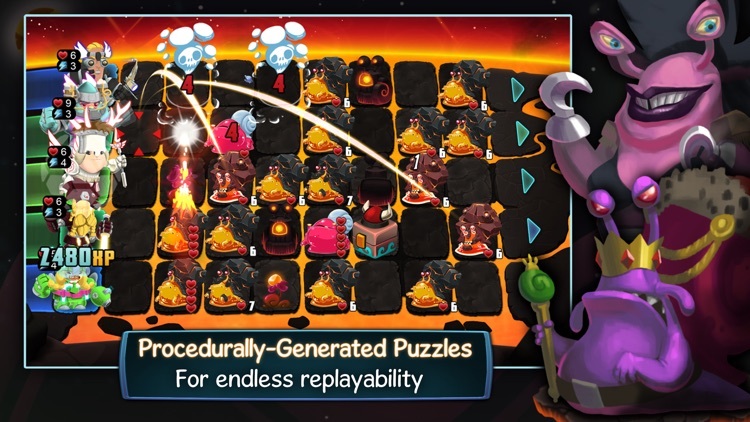 Star Vikings Forever is a unique lane-based puzzle RPG where you must defend your ship against incoming space snail invaders. 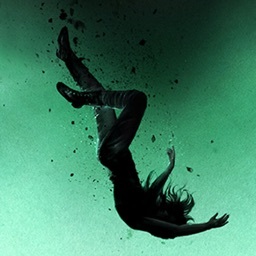 Plan your moves. 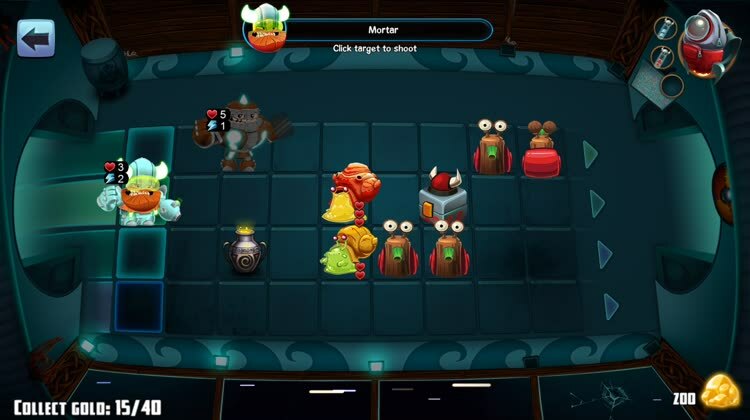 Star Vikings Forever is a tactical puzzle RPG where every move must be calculated beforehand due to limited resources. 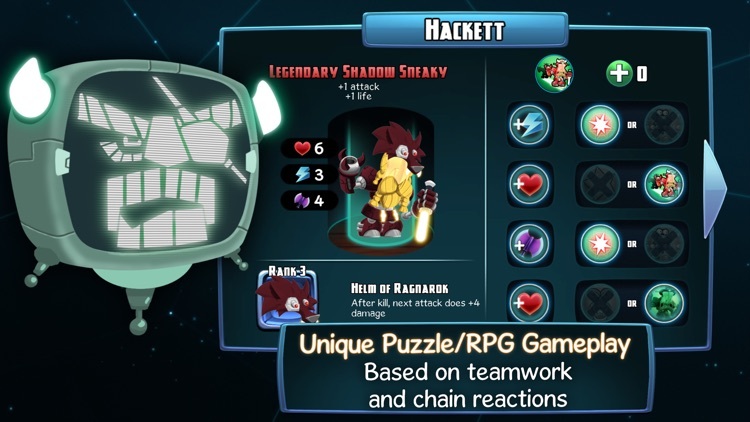 The game introduces different enemy types that will affect your strategies, so be careful! Complete objectives. 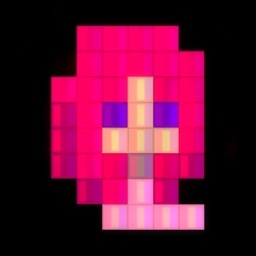 On the first playthrough of each stage, you get a set objective to complete. 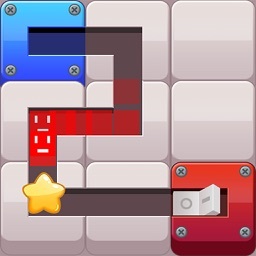 Replays of a level will always be different, though, because of the randomly generated objectives and puzzle layouts. Use your gold wisely. 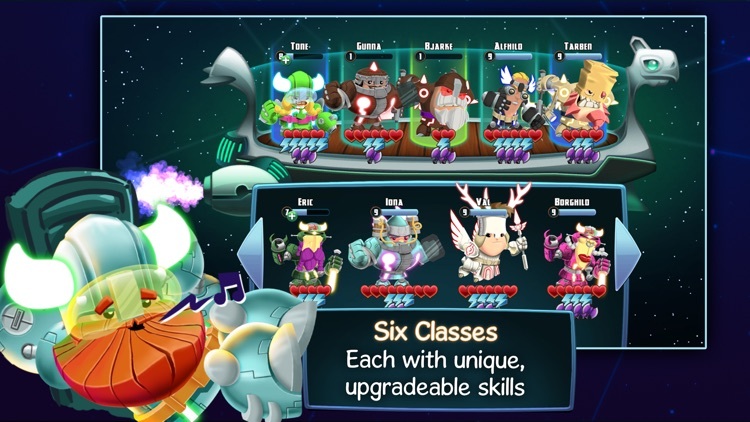 Deployed units gain experience points that can be used to upgrade their stats and skills. 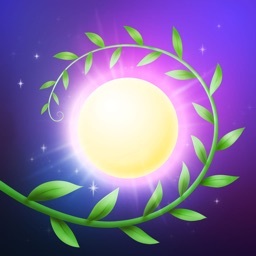 The gold you acquire can be spent on useful items that will make battle easier. 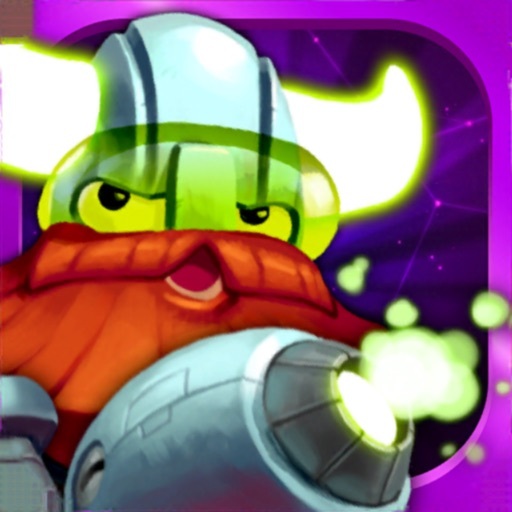 Visually, Star Vikings Forever packs in quite a punch. 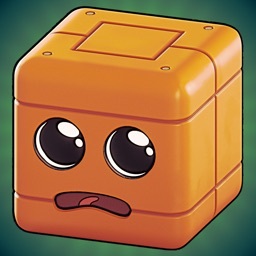 The game features an awesome cartoony art style that is sure to delight everyone. 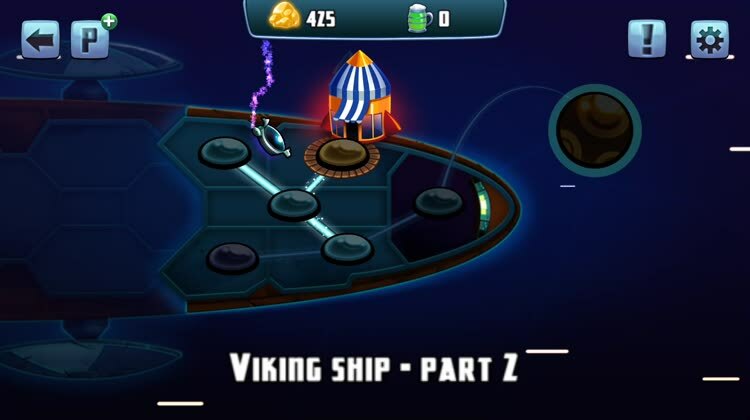 Though the graphics appear in a 2-D fashion, due to the angle, perspective, and lighting of the game, there appears to be a bit of depth to it, so it’s more between 2-D and 3-D. Star Vikings Forever also makes use of a bright and vibrant color palette to ensure that everything, from the rooms in the spaceship to the character sprites of viking and foe, looks bold and enticing. Animations are smooth and fluid with no lag on my iPhone 7. 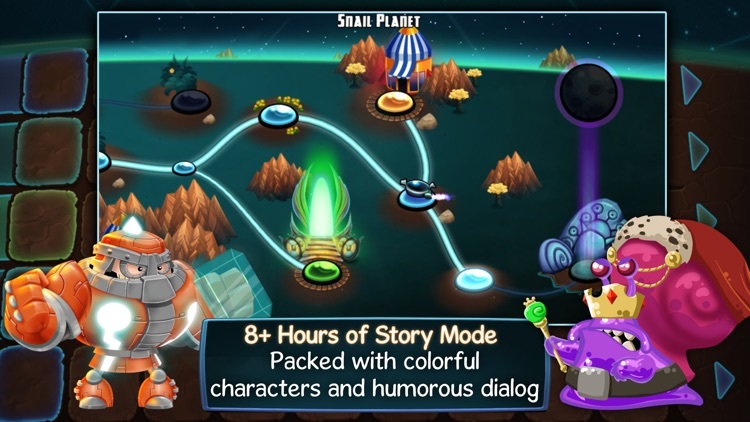 There’s also an adrenaline-pumping soundtrack that’s sure to get players in the mood for some space-snail-squashing action. Winner for "Best Game Design" at the Brazilian Independent Games Festival and “Most Offensive Game Ever” at the Space Snails Game Conference. 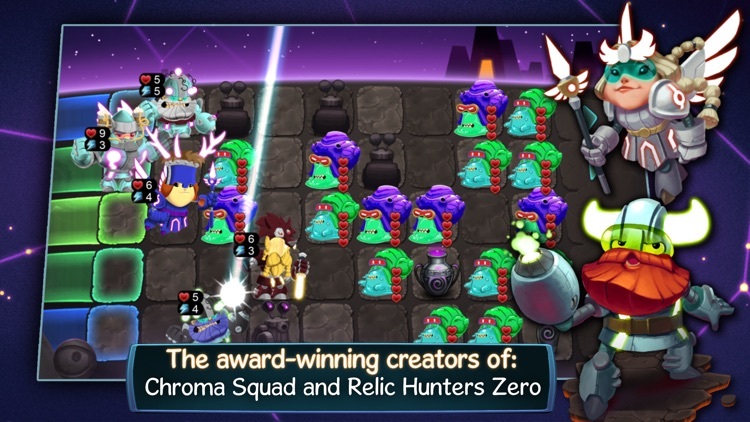 Star Vikings Forever is a humorous Puzzle/RPG developed by the award-winning creators of Chroma Squad, Dungeonland, and Relic Hunters Zero. • Facebook Leaderboard Integration - Compete with your friends for the high score!